Morrow County Hospital has been providing healthcare services to the community since February 12, 1952. We are a 25-bed critical access hospital, and we are the community’s primary healthcare facility offering a wide range of services. 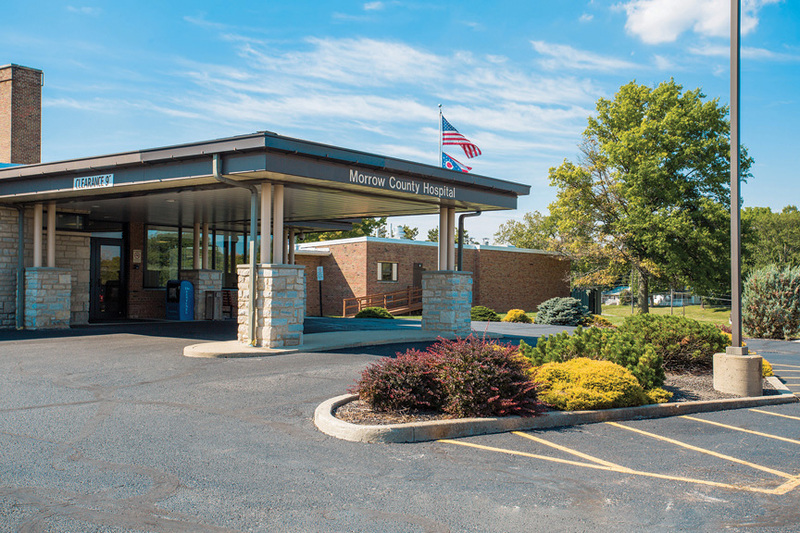 As a critical access hospital, Morrow County Hospital improves access to healthcare by keeping essential services local. We offer more than 20 specialties, including heart and vascular, orthopedics, surgery, emergency medicine, urology and more. We provide imaging, laboratory and rehabilitation services at three locations as well as primary care at four physician office locations. Our goal is to provide great care locally so patients do not have to travel far to receive quality expert healthcare. The Morrow County community can receive the prevention, wellness and specialty care services they need close to home. We have received many awards and recognition for the quality care we provide. To improve the health of those we serve. The team at Morrow County Hospital genuinely cares about our people. That includes you, our patients, as well as one another. At Morrow County Hospital, we are available, ready and want to help you in any way that we can. We work together to fulfill your needs with empathy, compassion and respect. Our team works together to improve, uplift, and support the Mission and Vision of Morrow County Hospital and the communities that make up Morrow County and the surrounding areas. We work together as one to provide the highest quality service to you, our patients, physicians, teammates and visitors of the hospital. We are honest, supportive, collaborative and respectful. At Morrow County Hospital, we are a family. We work to support and respect you and your families during times of difficulty and times of celebration. MCH Primary Care offers comprehensive primary care services for your entire family. Our board-certified physicians and advanced practice providers provide a wide range of services from prevention and wellness to chronic disease management. We have four convenient locations in Mt. Gilead, Cardington, Marengo and just outside of Johnsville. All of our offices are designated as Rural Health Clinics. This program provides patients with short-term post-hospital rehabilitation and skilled nursing care before leaving the hospital. Patients are able to stay close to home at the hospital instead of being transferred to another facility. Morrow County Hospital’s Emergency Department is open 24 hours a day, seven days a week, and is staffed by experienced emergency medicine physicians and nurses who are specially trained to respond to medical emergencies and potentially life-threatening situations. Our Urgent Care providers can treat all non-life threatening illnesses and injuries. Urgent Care is conveniently located inside the hospital. Morrow County Hospital connects patients with heart and vascular experts from OhioHealth to treat heart and vascular conditions. Our physicians see patients at the hospital’s Medical Specialty Center and in Marengo at Morrow County Hospital at The Cardinal Center. If more advanced care is needed, such as open heart or vascular surgery, we will connect you with one of the experts at OhioHealth Marion General Hospital or OhioHealth Mansfield Hospital. MCH Orthopedics provides expert orthopedic and sports medicine care. Our skilled orthopedic surgeon provides conservative and surgical treatment for a wide variety of general, shoulder, spine, hand and knee conditions. Morrow County Hospital is a proud member of the Morrow County Chamber of Commerce.